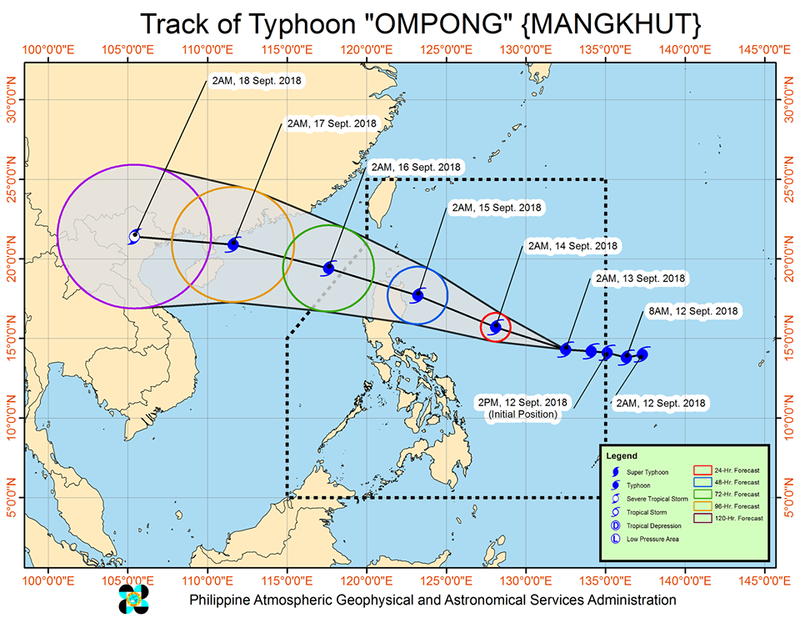 MANILA, Philippines – 'Bagyong Ompong' (international name: Mangkhut) has slightly accelerated while maintaining its strength and continues to threaten Northern Luzon, state weather bureau PAGASA announced in its 5:00 am update on Thursday, September 13, 2018. At 4:00 am today, the eye of Typhoon 'Ompong' was located based on all available data at 855 km East of Virac, Catanduanes(14.3°N, 132.1°E). 'Bagyong Ompong' has maximum sustained winds of up to 205 km/h (approaching super typhoon level) near the center and gustiness of up to 255 km/h. It is moving West at 30 km/h. Tropical cyclone warning Signal (TCWS) No. 1 (30-60 km/h Expected in 36 hours) is up in 16 areas: Cagayan, Isabela, Kalinga, Mt. Province, Ifugao, Nueva Vizcaya, Quirino, Aurora, Quezon inc. Polillo Island, Camarines Norte, Camarines Sur, Albay, Sorsogon, Catanduanes, and Burias and Ticao Islands and Northern Samar. Occasional rains with gusty winds will be experienced over the areas under TCWS #1. 'Ompong' is expected to make landfall in the northern tip of Cagayan on Saturday morning (September 15). 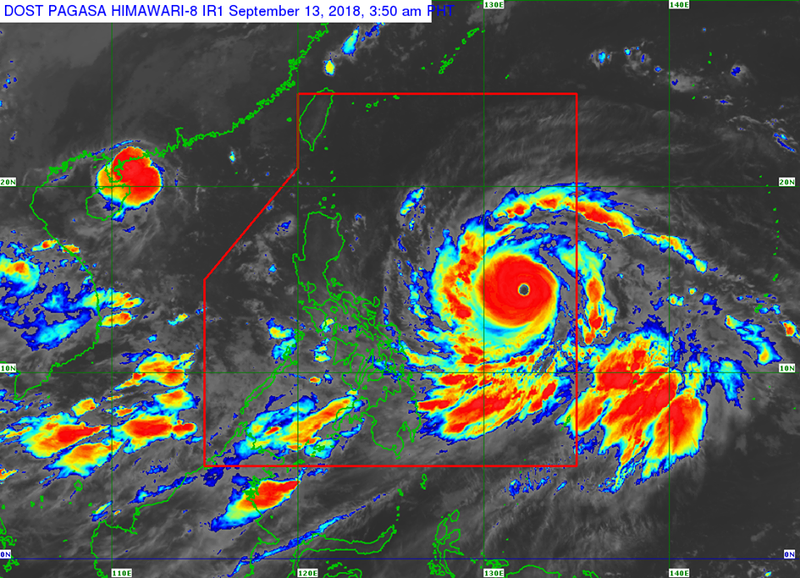 Fisherfolks and those with small seacrafts are advised not to venture out over the seaboards of areas under TCWS #1, the northern seaboard of Northern Luzon, and the eastern seaboards of Visayas and of Mindanao.